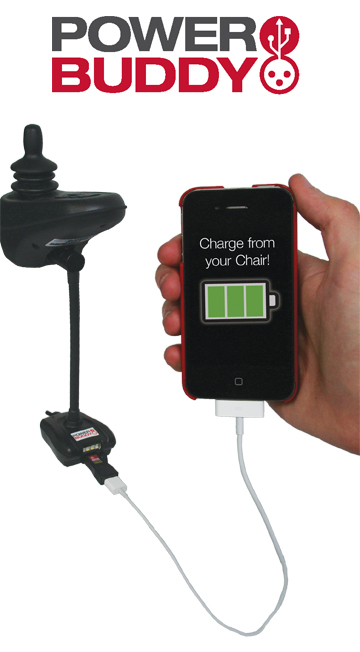 The Power Buddy plugs into the charging port of any power wheel chair and comes with a USB socket that allows you to charge electronic devices while you travel. 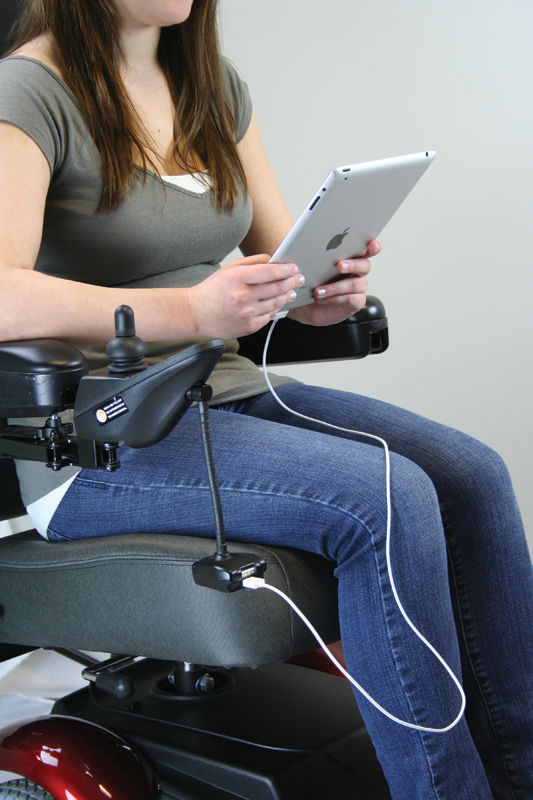 You can perfectly position the Power Buddy to fit any chair by simply adjusting the flexible neck to the optimal location. In addition, LED lights allow for greater safety and visibility while you are on the go. 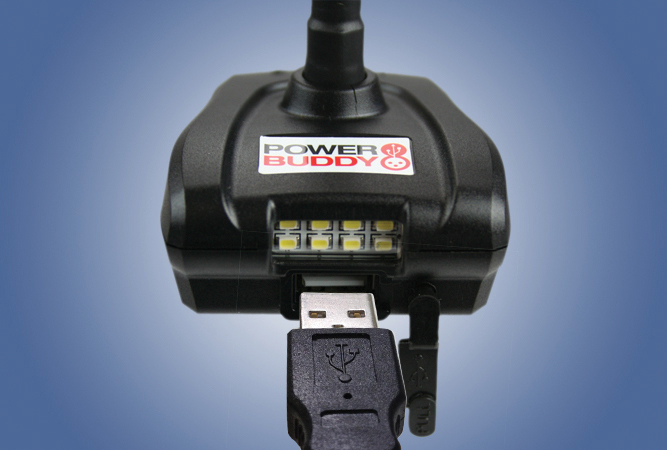 With the Power Buddy, you will never have to worry about running out of power again!